Like all the hardware products from SMOK, the Baby V2 Coil is truly in a class of its own. Its futuristic design is just one of the many features that makes it exceptional. 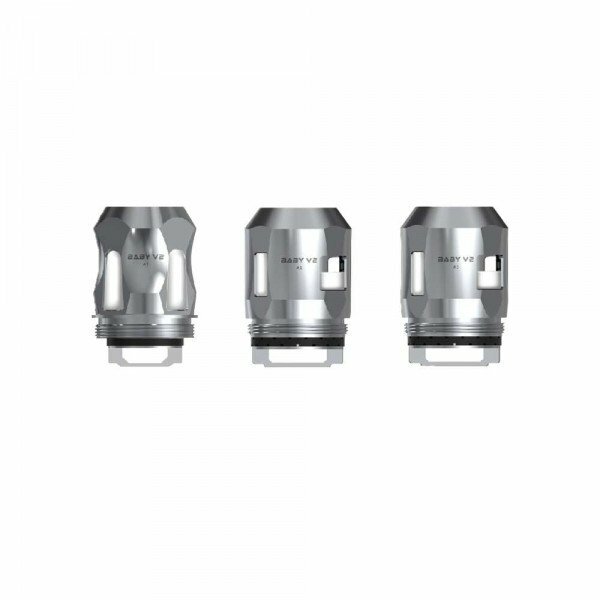 Most importantly, this coil is designed to make your e-liquid taste richer and cleaner than ever. Plus, it delivers smooth inhales and thick, enormous clouds of vapor. The Baby V2 Coil is made from high-quality materials. Therefore, it's built to last. You won't have to worry about dry hits, leaks or mediocre vapor production thanks to the incredible technology for which SMOK is known. See below for how the A1, A2, and A3 cores work.